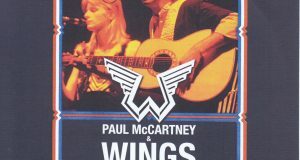 GET BACK TOUR, which began in 1989, since the Wings era, was held for two years under the legs until 1990, and it took more than 100 performances. Despite the fact that the basic set list did not change, the tour was still progressing, while Paul’s condition, the event stage, the first half and the latter half of the tour, etc. were slightly changed over the rest of the place. 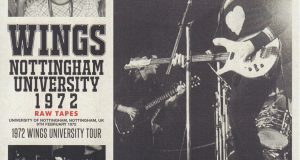 Among them, three performances in home country UK are the highlights of this tour, both of which are memorable stages. Tour started in September 1989 began in Scandinavia. And around Europe like Germany and France, I am doing large scale continuous performances in Birmingham and London in January 1990 when the year passed through the United States. The center of the tour was the United States in proportion to the vastness of the national land, otherwise it performs 2 performances in Brazil and 6 performances in Japan. In January 1990 I wrote that it was a large-scale continuous performance, but the British tour was only once. But there are exceptions. It is the three performances in the UK where it is officially classified as Europe / Third Leg. He went around Japan in March 1990, North America in April, and in Brazilian performance at the end of April, he established a Guinness record with the number of attendants of a single concert by a single artist. And from July I will go back to North America again, but in June I am only performing 3 concerts in the UK. Both of these three performances were special to both fans and Paul. Timing of holidays between tours, he went back to Britain to do three shows in a single shot. The schedule is as follows. This work has recorded the Liverpool performance in it. Not only Nebworth, which was a festival, these three shows are special concerts, as well as titles “Get Back To Glasgow” are given to Glasgow performances on the first day, and “Lietpool Belever” It can also be said from the fact that the title is given. Although the place which it meant is unknown, there is even more sense of special feeling with the triumphant performance to the birthplace. This Liverpool performance also has a sound source completely recorded at the audience recording, but unfortunately there are only severe things from the modern standards in terms of sound quality. But fortunately things are digest, but sound sources that were radio broadcast at that time are left. That is included in the CD part of this work. It’s about 77 minutes of recording, so it’s half the show. You can listen to medals with “We Got Married” and “SGT.Pepper’s” reprints that are played only on this tour with high-quality sound boards. And the highlights of the day are “Strawberry Fields”, “Help” and “Give Peace A Chance”. Although it was later released as a single, the impression is different also when listening in the flow of the concert like this. 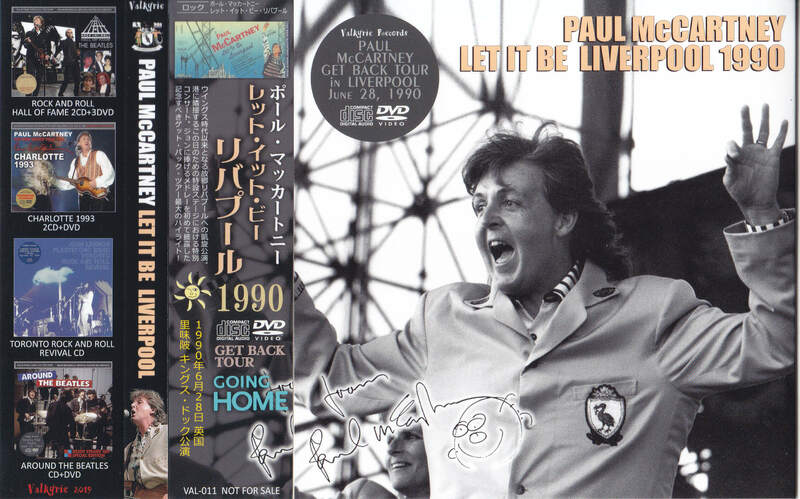 Especially Paul himself recalls deep emotion is the scene where the audience does not stop the chorus after singing “Give Peace A Chance”, sitting again on the piano and restarting refrain. 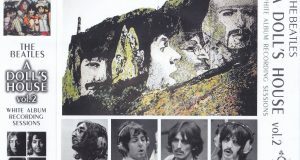 It is “Give Peace A Chance” recorded in this work that Paul himself stated that it was the most impressive and inspirational moment in the tour. DVD contains a 1990 documentary “GOING HOME”. As the subtitle “FROM RIO TO LIVERPOOL” is attached, it is a very good documentary from the Rio performance which became the mobilization of the independent artist to the Guinness record to the Liverpool performance recorded in this work. Even now, Brazil, who became the biggest concert of Paul’s live history, is a triumphant trip to the UK from a concert in Rio. From the stage setup to the rehearsal, the state of the back stage, the attraction of the 48 year old young pole tour is recorded extensively at this time. I miss old figure of the deceased Linda now. Live premiere of “Birthday” at Nebworth, “Mull Of Kintyre” for the first time in 10 years at Glasgow where the Bagpip Orchestra is marching on stage, etc. can be enjoyed with images. Especially “Mull Of Kintyre” is short but you can see the rehearsal situation as well. And, as well as highlights, Liverpool’s John Medley, also introduced in the CD part. 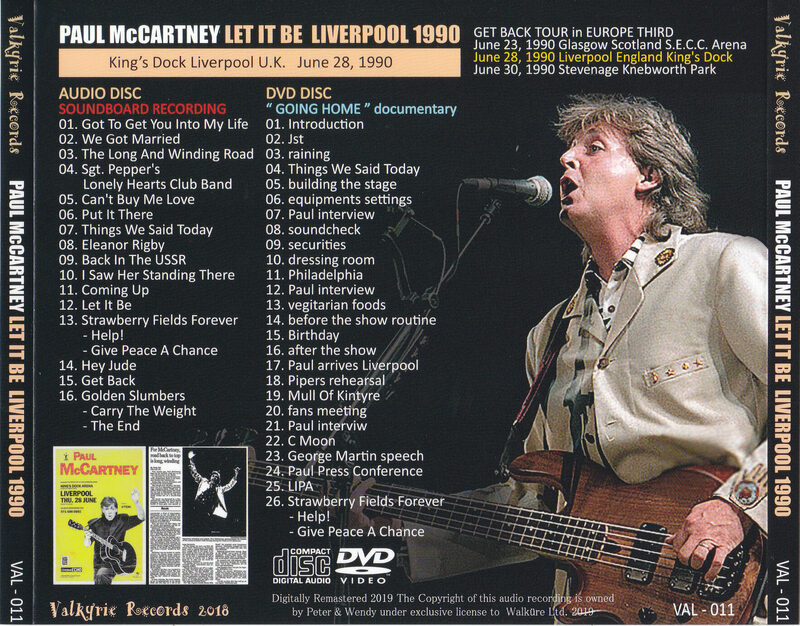 Until the 1980s Paul had not actively played the songs of the Beatles, it was incorporated into the set list extensively on a tour starting in 1989, and on this day there was a surprise to play John ‘s songs. That song also sings “Strawberru Fields Forever”, “Help” and “Give Peace A Chance” in medley. By the way, all three credits are LENNON – McCARTNEY. Just watching this video will still be wrapped in the excitement that the spirit is throbbing. This work contains a concert of Japan ‘s Liverpool performance with a special British three performances on the tour on the sound board. In addition, DVD includes tour and documentary “GOING HOME”. You can see the moment you tell the memorable historical moment, that Paul himself was the most impressive, even in images. Three performances in the UK are now on the Valkyrie label. I definitely want to have this special 3 British performances, Glasgow, Liverpool, Nebworth. Permanent preservation of a beautiful picture / disk specification A tightly pressed board. Japanese-style attaching.